Infosys, a provider of consulting, technology and next-generation services, announced a global strategic initiative with Amazon Web Services (AWS) to make transitioning to the cloud easier and faster, and additionally, an expanded relationship with Microsoft Corp. to accelerate Azure-based and other digital transformations for customers. Together, Infosys and AWS will help enable clients to move enterprise workloads, including mainframe and enterprise resource planning, to the AWS Cloud. Infosys plans to leverage AWS's offerings around analytics to provide deeper insights and enable enterprises to gain competitive advantage in their industries. Infosys will also support enterprises in their transition from legacy technologies to the modern AWS Cloud. Both companies are focusing on workload migration solutions (SAP and other Enterprise workloads), mainframe and legacy modernization services to move complex legacy workloads and data and analytics solution, including hybrid analytics cloud platform and analytics as a service. As part of this collaboration, Infosys is creating a dedicated AWS Cloud Center of Excellence cutting across all Infosys Service lines, and Infosys will employ 5,000 AWS-trained and 2,500 AWS-certified resources. 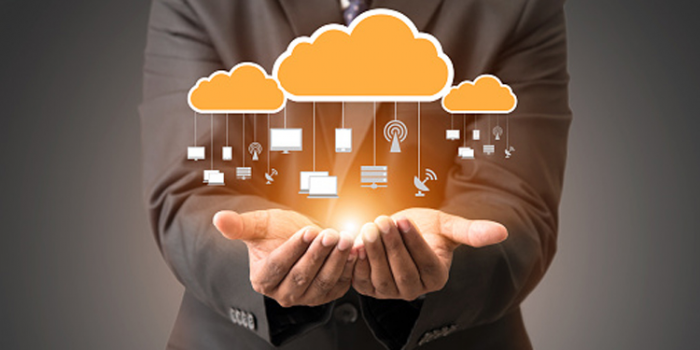 The AWS Cloud Center of Excellence, which has access to all the latest tools and technology from AWS, will help create new enterprise transformation solutions leveraging the AWS Cloud and based on design thinking with Zero Distance to the customer. Many organizations wanting to migrate to the cloud may select Azure as an open, hyperscale, enterprise-grade cloud platform. Infosys committed to scale its team of dedicated Azure consultants to 5,000 and to provide a broad range of offerings to accelerate the adoption of Azure, Analytics and SQL Server 2016. Clients will be able to leverage solutions such as the Healthcare Analytics Suite, along with migrations of a wide range of technologies, including Mainframe and Linux. This alliance builds on Infosys’ longstanding relationship with Microsoft as a Global Managed Alliance Partner. Earlier this year, the two companies announced a similar collaboration in supporting healthcare organizations in their digital transformation. In the banking industry, Infosys’ core banking product, Finacle suite, has been available on Azure for the past year. The two companies will establish a global Azure Innovation Center – an ecosystem to proliferate the development of innovative solutions and offerings to help enterprise clients use the power of the Microsoft cloud platform. Additionally, Infosys announced recently the launch of Mana, a knowledge-based AI platform that brings machine learning together with the deep knowledge of an organization to drive automation and innovation, enabling businesses to continuously reinvent their system landscapes. Mana, with the Infosys Aikido service offerings, claims to lower the cost of maintenance for both physical and digital assets, to capture the knowledge and know-how of people and fragmented and complex systems and to simplify the continuous renovation of core business processes.